Learn to make Easter-themed Kazari Maki-Zushi at a Japanese cooking workshop at RESOBOX. Kazari Maki-Zushi is sushi with special designs and decorations that is derived from the several sushi techniques such as Saiku sushi and Futomaki sushi. Kazari Maki-Sushi represents an important unique aspect in Japanese food – not only in taste, but also in the beautiful visual appearance that serves to please those who enjoy it. This food/art form has been developed for more than 150 years using various natural colors of ingredients you see every day. Although it looks difficult, this decorative sushi is very simple and easy to make! No prior experience is necessary to participate. 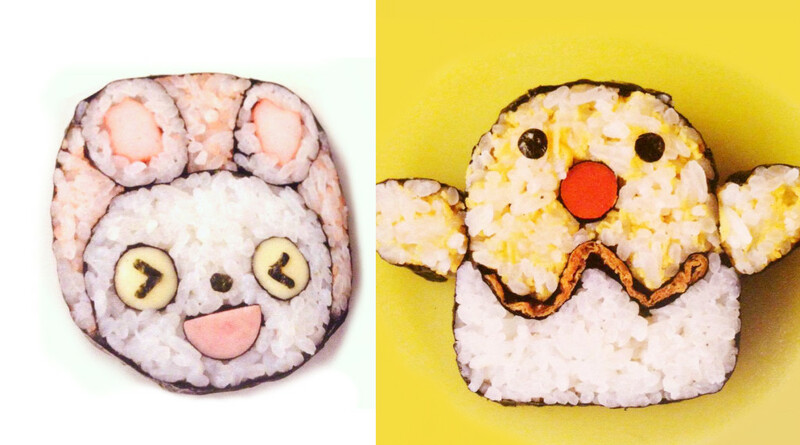 For this Kazari Maki-Zushi class, participants will make cute chick and rabbit sushi pieces to celebrate Easter. The instructor is Hokkaido native Hiroyo Belmonte, who studied baking, pastry, and Wagashi (Japanese sweets) for many years in Japan. She holds a Level 1 instructors certification (the highest class before the master certificate) for decorative sushi from the Japan Sushi Instructors Association. For more information and to register, please visit RESOBOX’s website.